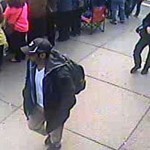 David is joined by Richard Barrett of the Soufan to chat about the Tsarnaev brothers and the likelihood they had any help becoming radicalized and gaining the bomb-making skills that ultimately led to the Boston Marathon bombings. Barrett is a recognized global expert on terrorism who frequently appears as a panelist in related conferences and whose commentary is regularly featured in the press. He is also a contributing member of the Soufan Group.